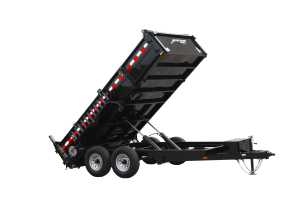 Your own dump trailer from Homesteader Trailers could be just what you need if you are tired of renting a dump trailer for your construction company. If you add up what you have spent on dump trailer rental in the past year, you will quickly realize that you have been paying far too much. 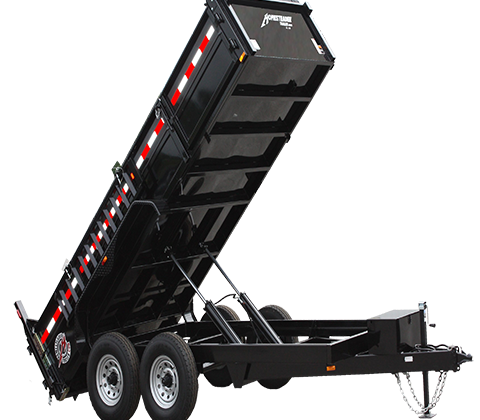 In fact, you probably have paid more than you would have had you purchased a new dump trailer from Homesteader Trailers, and with so many standard and optional features, you will not want to buy anywhere else. Of course, you can order optional features including rear stabilizer jacks, a scissor lift, a bed tarp, and drop down bedsides. For the best drop down trailer, nobody beats Homesteader Trailers. Call or click for a drop down trailer dealer from Homesteader Trailers today.